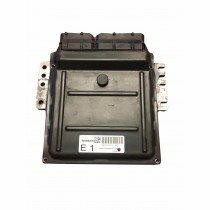 If you are having trouble with your Nissan Maxima and it is constantly stalling or having issues starting, you are most likely in need of a new or refurbished PCM (Powertrain Control Module). Have peace of mind knowing that you’ve came to the right place as we are entirely capable of not only handling all your Maxima’s PCM, ECM, ECU needs but we will also save you up to 50% compared to local stores and dealerships. Look below to locate the right product for you. If you can’t find it or are unsure what you need, call us TOLL FREE so we can help you get you to where you need to go. It is crucial that you understand how important it is for your vehicle’s auto computer to operate properly. We sure do. That’s why we offer lifetime warranties on all of our products and guarantee all of our work. Our team of unsurpassable technicians treat each car as if it was their own and put their best foot forward in regards to dealing with your PCM, ECM, ECU issues. You came to the right place. Let us show you why.